This USB drive is 2GB in capacity with built in audio recording feature. 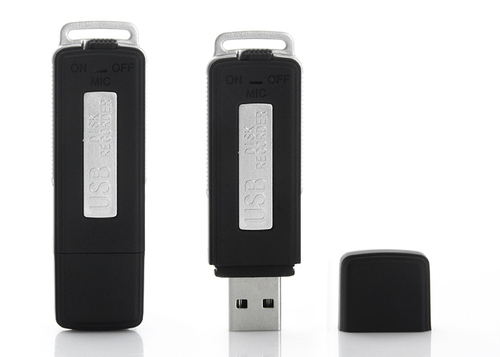 It looks like a normal USB disk but also works as an audio recorder.It is very easy to start or stop recording with one key operation. The audio is recorded in high quality format in this USB Disk. Its battery back up lasts for 3hours and it records the audio at the speed of 4KB/s i.e. 8.5hours in 2GB capacity. This device can also be used as a normal USB drive.